Taylor Swift recent tweeted this picture on twitter and every girl is going into a frenzy trying to figure out what her hair accessories were. They are fiber-optic hair extensions made by a La Jolla, CA company by the name of Luminence. These particular type of hair extensions are called Glowbys and there is nothing like them around. You can be sure that you will stand out when you give them a try. 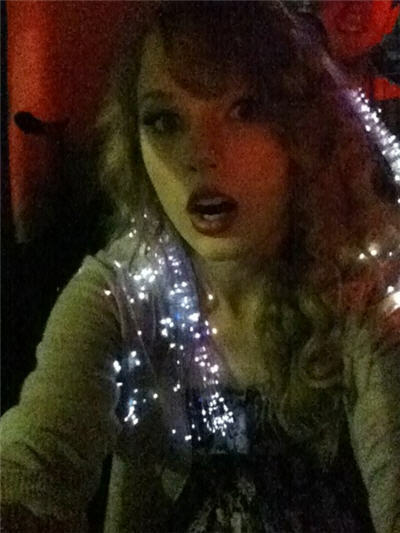 They look like little lights in your hair and they come in a variety of different colors. They are great for parties and creative photoshoots. The best part is that they ship worldwide! Is this the future of hair accessories? Would you give them a try? Let me know what you think!